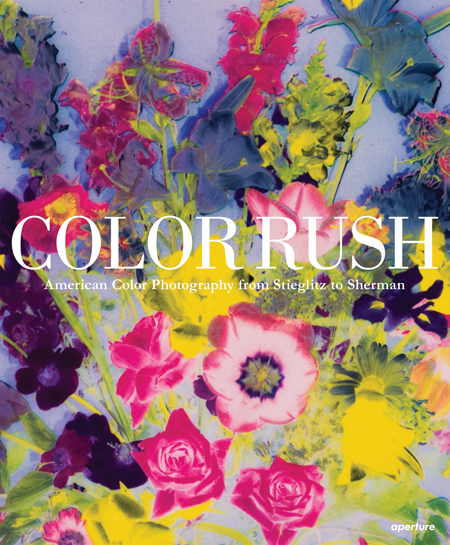 Color rush: American color photography from Stieglitz to Sherman , a recent publication from Distributed Art Publishers. This book can be found in Lau on the lower level: TR645.M52 M523 2013. Yes yes, we live in a digital world and you do everything electronically and online–from taking and sharing photos to reading the newspaper to talking with your mom on Facebook. But art books really aren’t the same as digital facsimiles, and this recent New York Times article explains why exhibition catalogs and art books are now more gorgeous and visceral than ever. At Lauinger we love a beautiful, full color exhibition catalog, or a freshly-printed black and white photography book that could pass for the prints themselves. If you can’t hold the art in your hands or see it person, do find a high-quality art book to experience the aura of an object. This entry was posted in Academics, Art Librarianship, Books, Library Resources, Source Material for Artists and tagged books, Printing, publications. Bookmark the permalink.